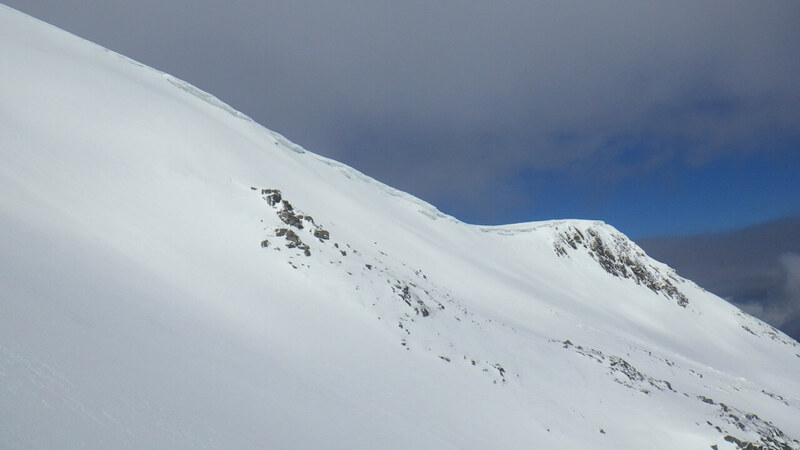 Light winds and sunshine today made it feel warm and spring like although summit temperatures were still around minus 3. A wide variety of snow conditions were experienced – frozen neve, hard and soft windslab, and soft spring snow. 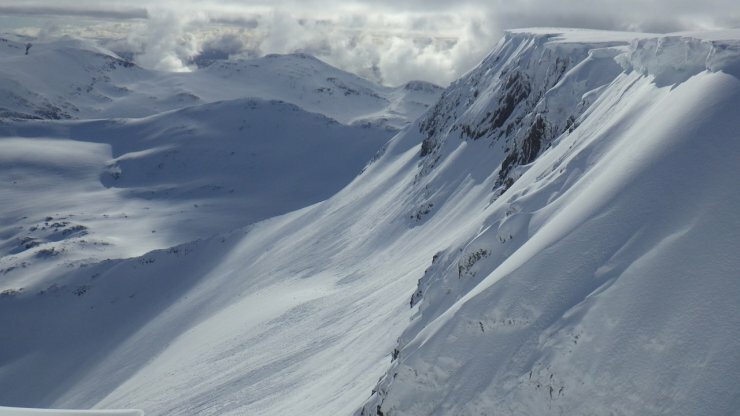 There is some fantastic skiing to be found. 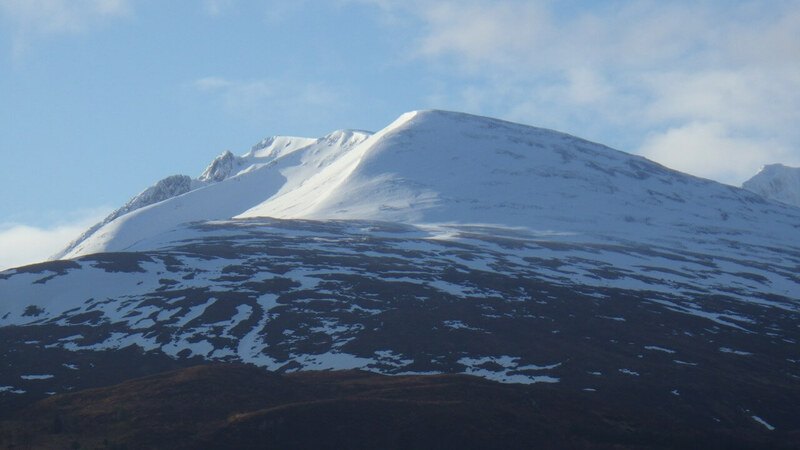 Ben Nevis, North face this morning. 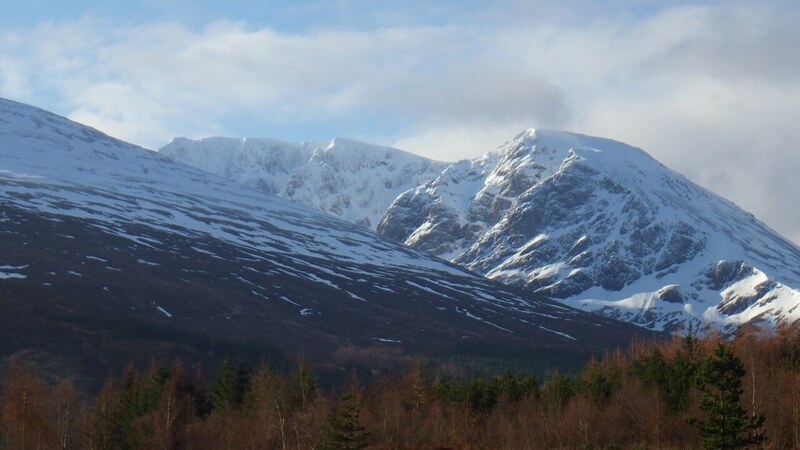 Carn Mor Dearg from the North. 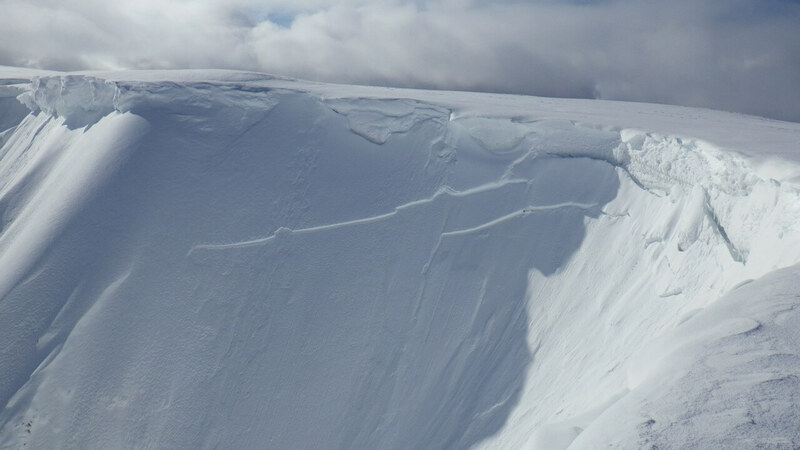 Rollerballs observed on slopes in the sun such as here in Coire an Lochan, Aonach Mor. 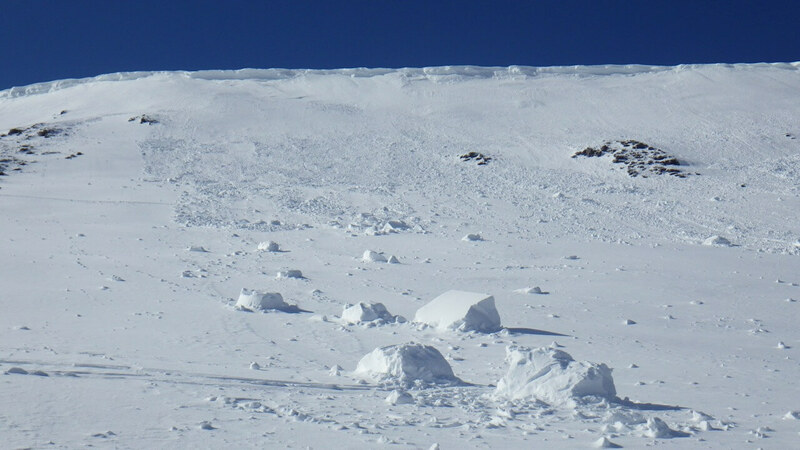 A crown wall in Easy Gully after skier triggered slab avalanche yesterday. A cornice above most of Spikes Gully, Aonach Mor. Debris from cornice collapse was observed. Some of this occurred naturally and some released by ski patrol.